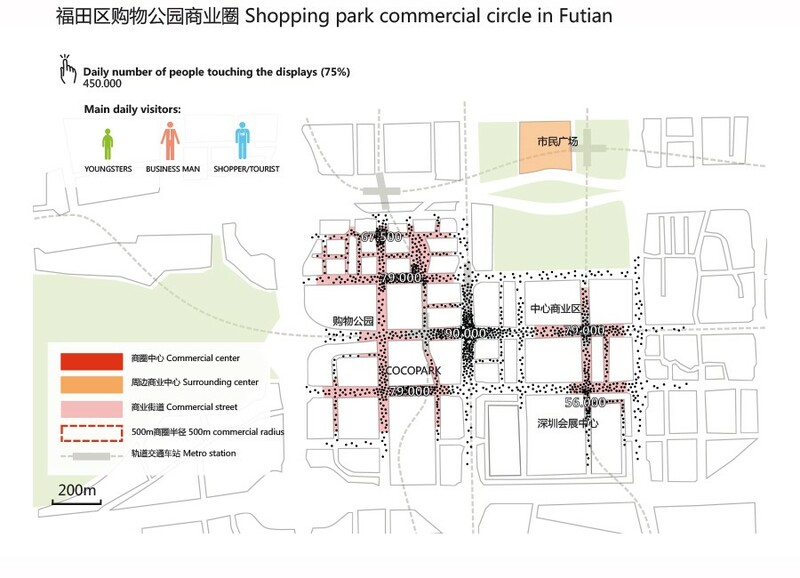 Program: analysis of the human flow and commercial behaviour of shoppers. Qualification and distribution of new digital info points based on China mobile data. 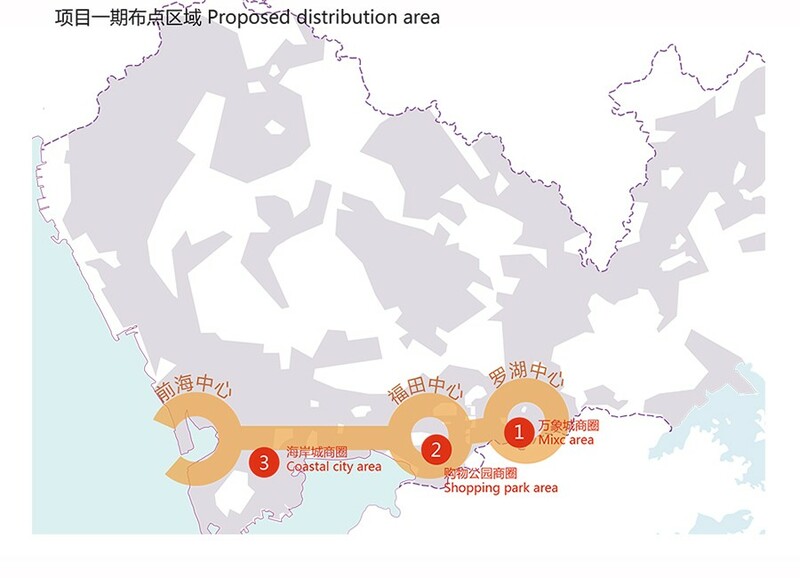 In the 1st phase we suggest to choose three most populated commercial areas respectively located in Nanshan, Futian and Luohu districts. 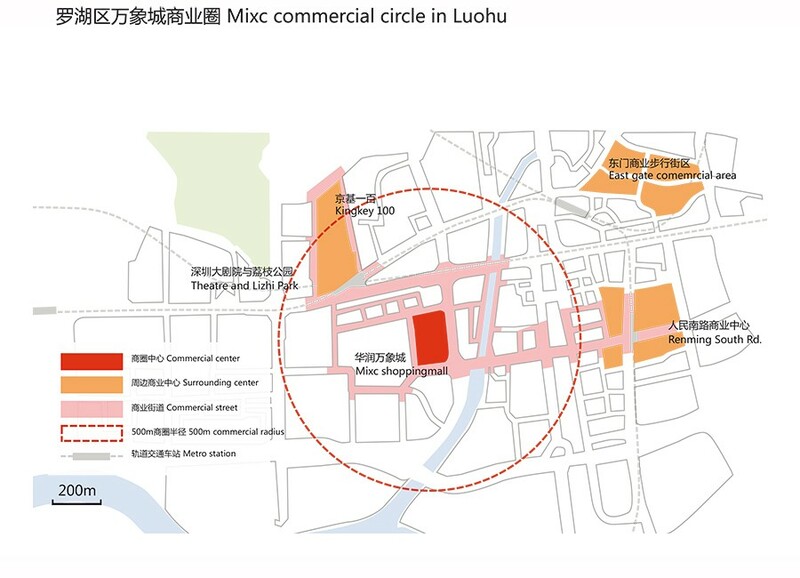 Mixc city as one of the most successful commercial complex generates a great lively atmosphere reaching Kingkey 100 to the north and Renming nan commercial center to the east. 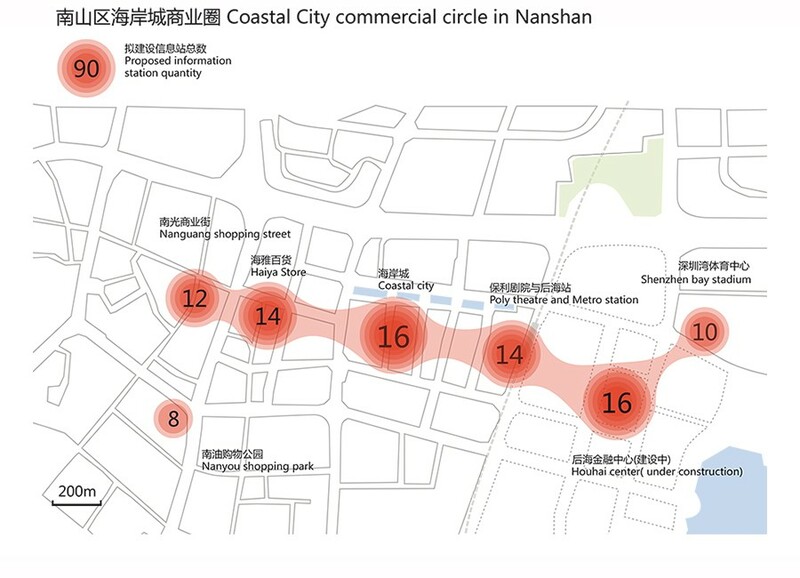 Based on the commercial activity scope, we suggest spreading the info station along Jiabin Rd. 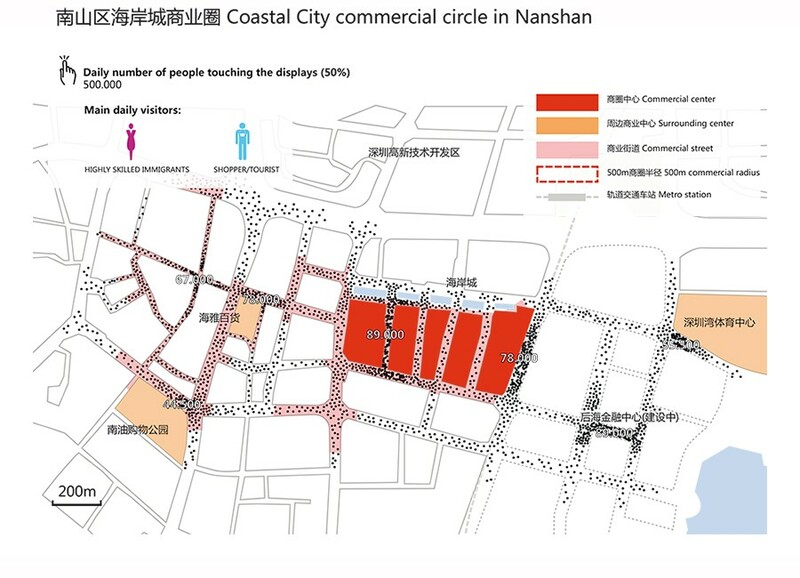 Shennan Avenue and Buji River, serving surrounded commercial area. 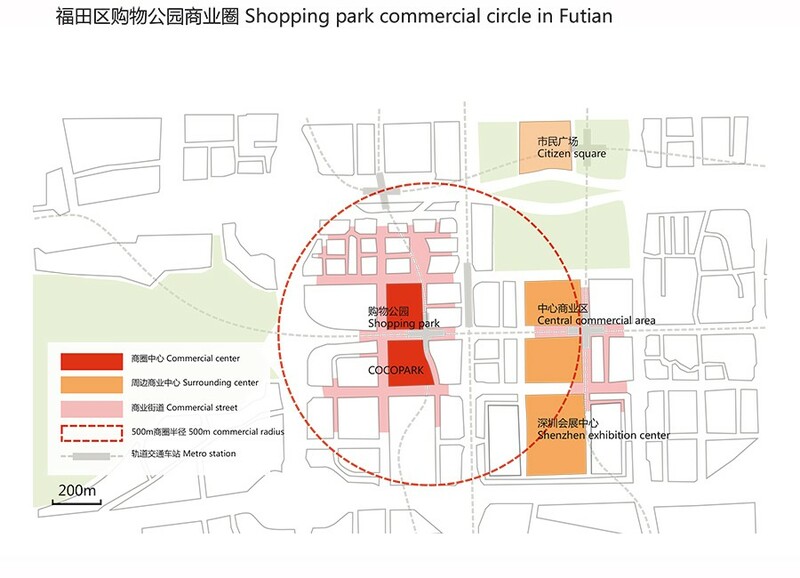 Futian shopping park is a mega commercial area connecting Futian CBD and Futian railway station, major commercial activities occur around big shopping centers and exhibition area. 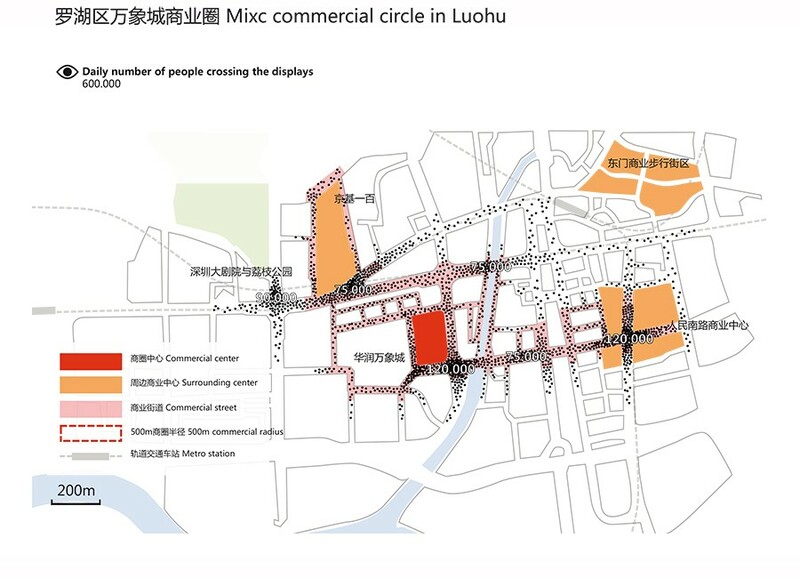 Based on commercial activity, we suggest distributing info stations along Fuhua Rd. 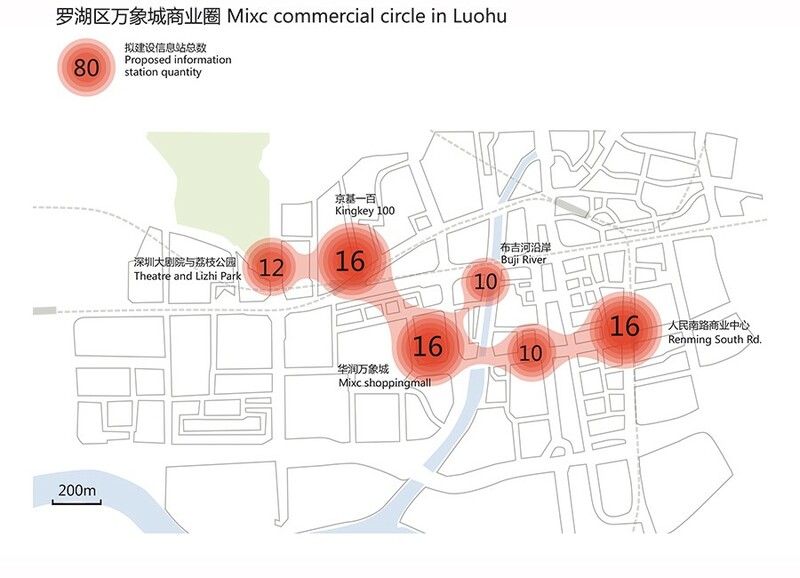 to connect commercial spots, offices and high-speed railway station. 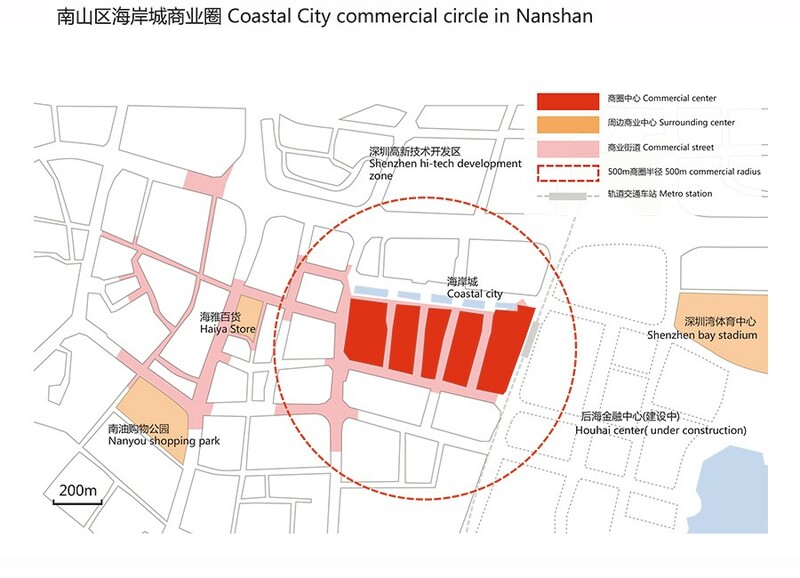 Coastal city in Nanshan district as a new built commercial center and most important service area in west Shenzhen, generates commercial activities reaching as far as west of Haiya stores and Shenzhen bay stadium to the East. 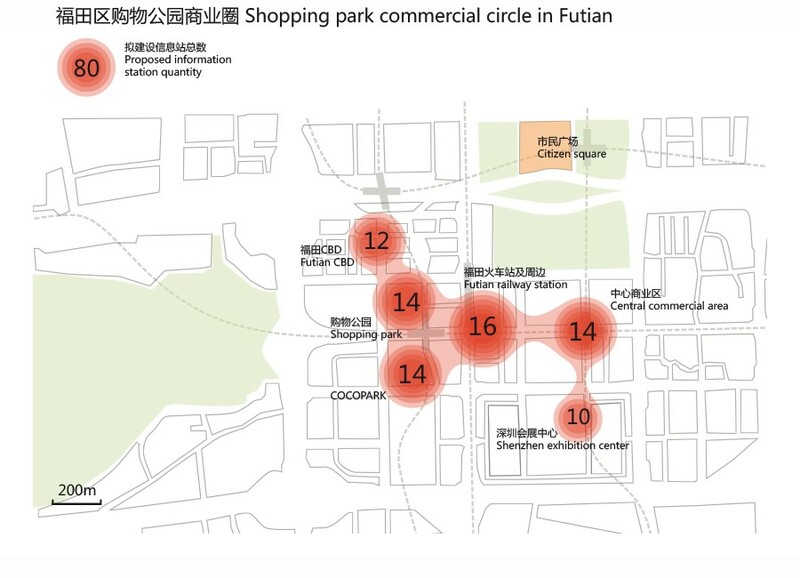 Based on commercial scope we suggest distributing info station linearly along commercial facilities, and setting up more in Houhai center which is under construction. In first phase there would be around 250 to 300 info station to be put in use. 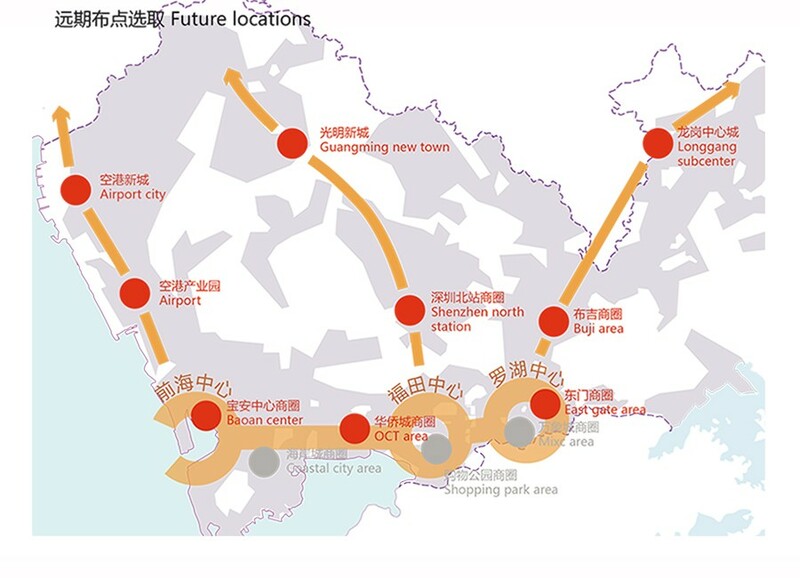 The proposed area to distribute info stations in the future could be tourist-concentrated OCT area, East gate commercial area, Baoan center and airport area, etc.